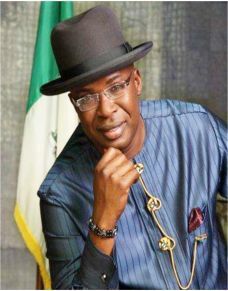 The Economic and Financial Crimes Commission (EFCC) might have gotten its most damning and compelling evidence yet on the case of looting involving ex-Bayelsa Governor Timipreye Sylva. On Friday, the commission through its spokesman, Wilson Uwujaren disclosed that a team of investigators from the anti-graft agency made some shocking new discoveries. He said that they have discovered some choice properties. Belonging to Sylva, located in prime locations in major cities across the country, particularly the Federal Capital Territory (FCT), Abuja. The EFCC’s investigations revealed that the former governor used a network of fronts to acquire the various properties valued at over N1.01billion in Abuja alone. Two massive properties linked to Sylva include a magnificent duplex valued at over N310 million situated at Cachez Estate, Mpape, Abuja, and another mansion valued at over N700 million located off Ademola Adetokunbo Crescent in Wuse 2 District in the FCT. of the network of companies allegedly owned by Mr. Sylva and used as fronts in his property acquiring spree. Since the travails of Sylva began, the company, Marlin Maritime Limites, has been in crisis, with the managing director, Gbenga Balogun, who helped the former governor to acquire the properties, is currently on the run. If reports by the EFCC are anything to go by, the commission’s operatives are closing in on Balogun.